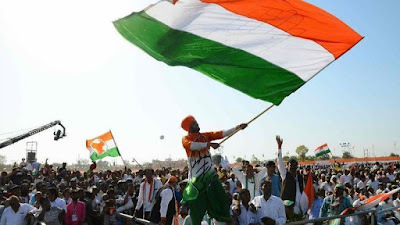 India’s general elections, the biggest democratic exercise in the world, get underway in April and will decide the leadership and direction of the country of 1.3 billion people for the next five years. Prime Minister Narendra Modi and his nationalist Bharatiya Janata Party came to power with a historic landslide victory in the last national polls, in 2014. But his promises of “achhe din,” or better days ahead, have given way to disappointment over sluggish economic growth, discontent among farmers and rising unemployment, making the race more of a contest than many expected. More than 900 million Indians — nearly three times the entire U.S. population — will be eligible to cast ballots. That includes 45 million people who turned 18 and became eligible to vote since 2014. Voters cast their ballots for representatives in the Lok Sabha, the lower and more powerful house of India’s two-tiered Parliament. The Lok Sabha has 543 elected seats, and the party or coalition that holds a 272-seat majority selects the prime minister.